If you have any kind of online presence at all, including just connecting to the internet, you are at risk of online theft. The most common identity thefts come in the form of username or password hacking, banking information theft, and theft of credit card numbers. In many cases people have their entire identities stolen based off of the theft of their social security numbers or other sensitive information. It’s amazing how easy it occurs, really. Programs are so advanced that it’s hard to trust whether the email or pop-up you received is legitimate or just an excellent forgery of a business that you are familiar with. Phishing and spam are regular terms in most households and easy ways for malware or a virus to be inserted into your computer. 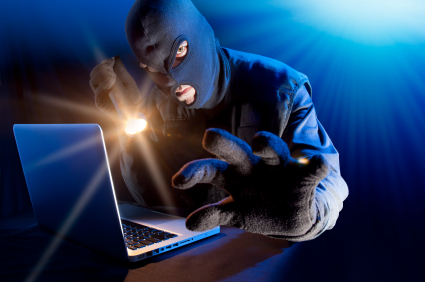 Criminals take the form of hacking and online thievery to make their living from people who are unaware of how to protect themselves when they are connected to the internet. Using these three simple steps, you can keep your information safe from prying eyes. The extra money it costs for a security program to run in the background of your computer can end up saving you thousands of dollars, if not more, by protecting your information. Shop around and do your research. Using an antivirus and anti-malware software to keep your computer safe from threats is smart. Is it necessary? Not until you need it, in which case, you’ll wish you had had it. Companies like Dark Web can search for your email address and personal information and let you know if any of it has been compromised. You may have to pay for access to the information, like you would pay for a security program, but you will know immediately which aspects of your identity are susceptible to online theft so that you can take steps to solve the problem. Sometimes these breaches are obvious and you are alerted to them right away. Sometimes, however, they are subtle and sneaky and you don’t realize someone has been using your information until you suddenly have a huge drop in your credit score and a lot of people calling you for late payments on accounts you didn’t create. Identity thieves love people who use the same password for everything, or easy to break passwords. Make your password over ten characters long, use a mix of upper and lower case letters, and throw in some symbols as well. Change your passwords frequently. Keep a record book with your passwords in hard copy so that you can change it regularly, and keep it someplace secure. Maybe you’ll be a target of identity theft, maybe you won’t. Would you rather protect your information and never need it, or regret not having it after you have become a victim? Take these basic steps to save yourself the hassle and stress of becoming an identity theft statistic.